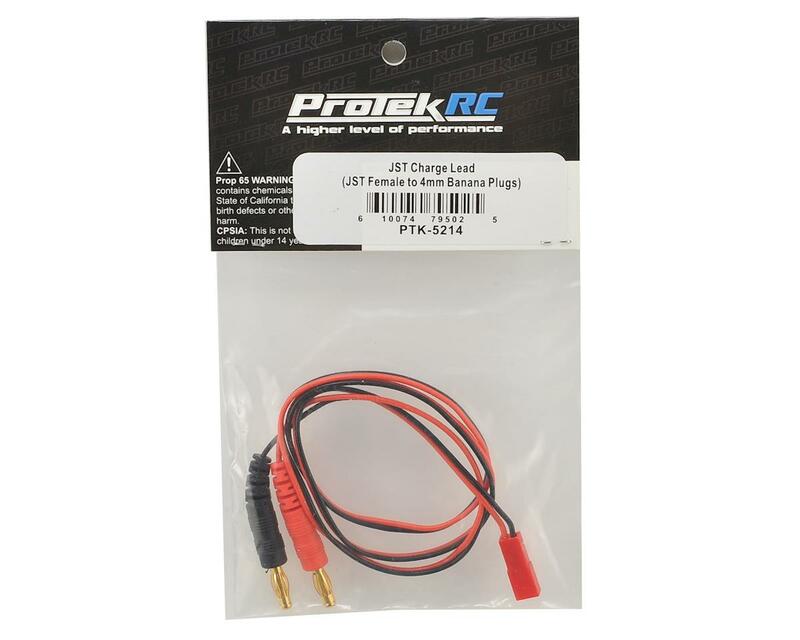 This is one JST connector charge lead lead from ProTek R/C. 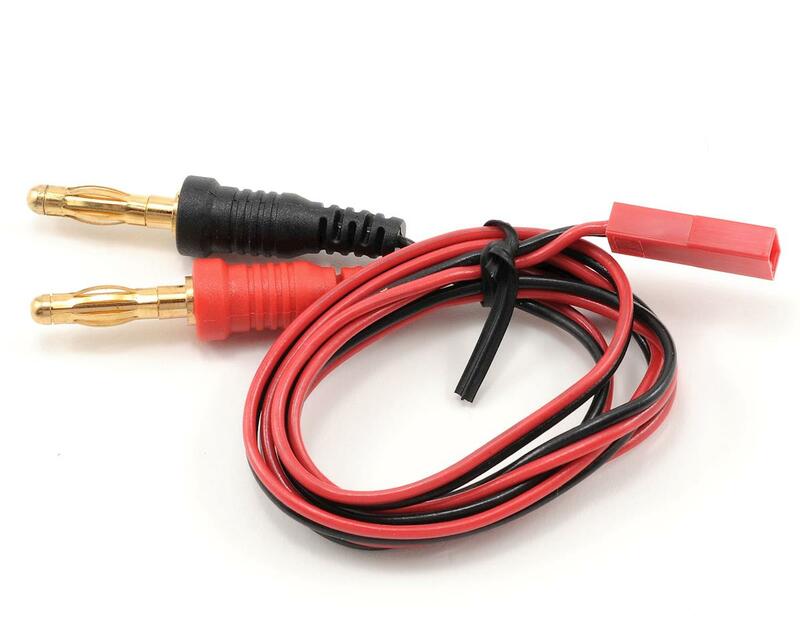 This charge lead has a JST style battery connector on one end connected to 4mm banana plugs with high quality 22awg silicone wire. Didn't work. had to cut the 4mm plugs off and put new ones on to get it to work.